Stephen King’s classic #1 New York Times bestselling dramatic serial novel and inspiration for the Oscar-nominated film starring Tom Hanks!Welcome to Cold Mountain Penitentiary, home to the Depression-worn men of E Block. 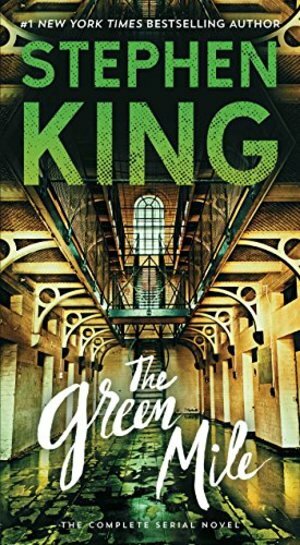 Convicted killers all, each awaits his turn to walk “the Green Mile,” the lime-colored linoleum corridor leading to a final meeting with Old Sparky, Cold Mountain’s electric chair. Prison guard Paul Edgecombe has seen his share of oddities over the years working the Mile, but he’s never seen anything like John Coffey—a man with the body of a giant and the mind of a child, condemned for a crime terrifying in its violence and shocking in its depravity. And in this place of ultimate retribution, Edgecombe is about to discover the terrible, wondrous truth about John Coffey—a truth that will challenge his most cherished beliefs….